In the nerve centre of the vast operation, the Postmaster directs his team of deadly mail delivery volunteers. Yes, I’m talking about physically delivering mail. In operation, the network consisted of a set of postboxes placed around the camp, into which packages described as smaller than a ream of paper could be placed, and postal delivery boxes in any of the villages that had gone to the effort of installing them. 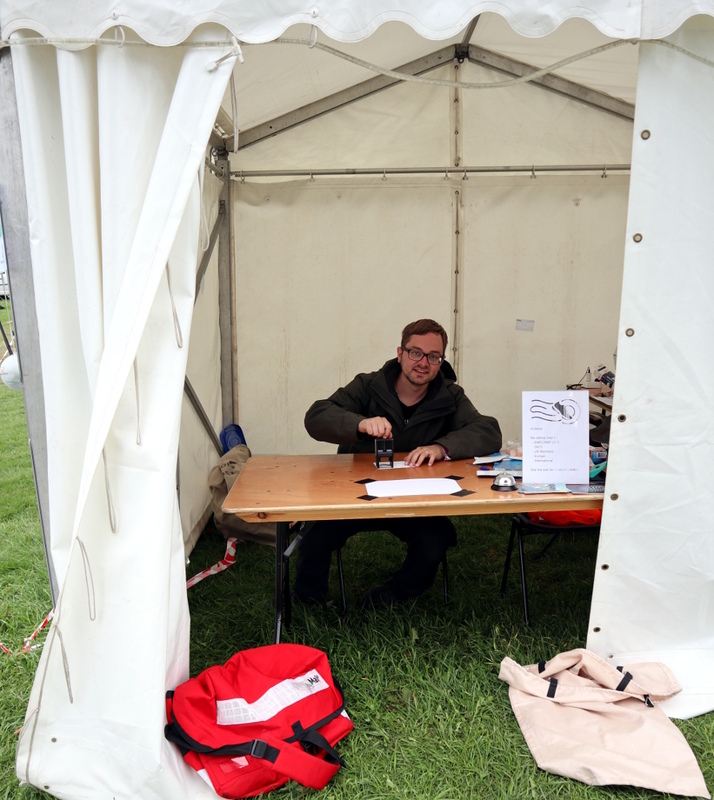 A postal round consisted of a tour round the boxes to retrieve posted mail, followed by a return to the Sneakernet post office tent at which they were franked and sorted according to the geographical location of their recipients. 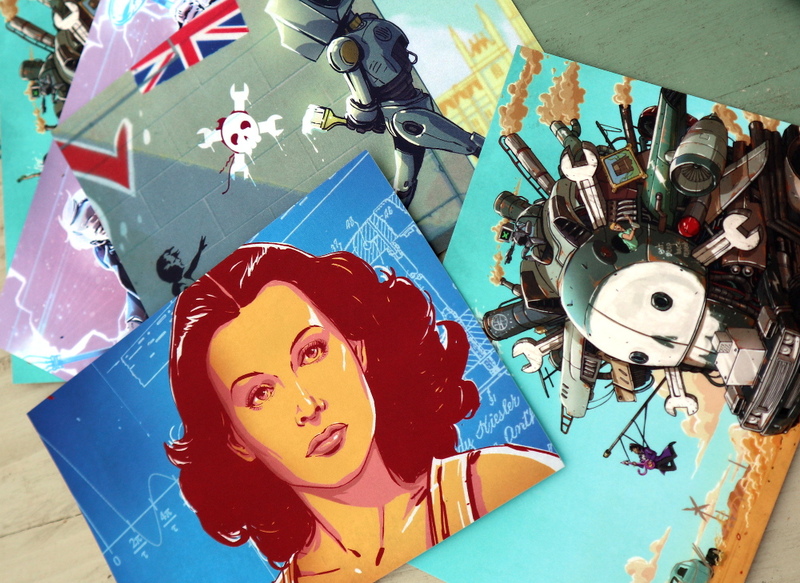 Limited edition Hackaday Joe Kim postcards. There shouldn’t be much in the previous paragraph to surprise the reader, but the minutiae of a postal system is not the point of this piece. Instead the value in Sneakernet lies in the window it gives us into hacker camp culture, and the valuable opportunity it offers a volunteer mail delivery person and Hackaday scribe in search of a story to really get to know the camp. How many of us reach all the far-flung villages at a hacker camp? My first delivery was a heavy one, and a work of genius from Fizzpop, the Birmingham makerspace. Their first question for the postmaster was this: “Can we send spam?” He couldn’t see why not, so off they went into Ledbury, the nearest town, to buy every single tin of SPAM (preserved meat product) from every shop they could find. Addressed to as many villages as they had tins and delivered to the post office, it was my job to walk the camp and embark upon my career as a spammer. Your Hackaday scribe goes postal. It’s certainly an icebreaker, to walk into a hacker camp village and say “You’ve got mail!”. Usually this was greeted with delight, followed by laughter when I brandished the object in question: “And it’s SPAM!”. Walking round the camp I encountered the many different groups that had villages, aside from the usual hackspaces. On delivering a package to the goth village for instance I discovered that there were two sets of goths confusingly very close to each other — “No, you want the other goths!” — I was howled at by the Holistic Howlers (Though nobody sent them a howl so I never had the chance to walk into their village brandishing a postcard and say “Miaow?”). I discovered the wired telephone exchange and the Scottish ShoutyTel cups-and-string telephone system, both of which would probably have evaded me without the postal duty. I argued the merits of different international mains connectors with the sadly deluded denizens of the Netherlands village. Later in the day when one of my peers discovered that the bar would do mail-order, I then delivered an ice-cold Club-Mate to its thirsty recipient, amid thunderous applause from the rest of the workshop she was participating in at the time. Hacker camps bring together our community from all over the world, and while we usually write about the impressive builds or fascinating talks it’s very important that we also remember that there is another side to them. The human culture they bring together is a crucial factor in the overall experience, and in postal delivery I found a way to unlock it in a manner I had never achieved at previous camps. 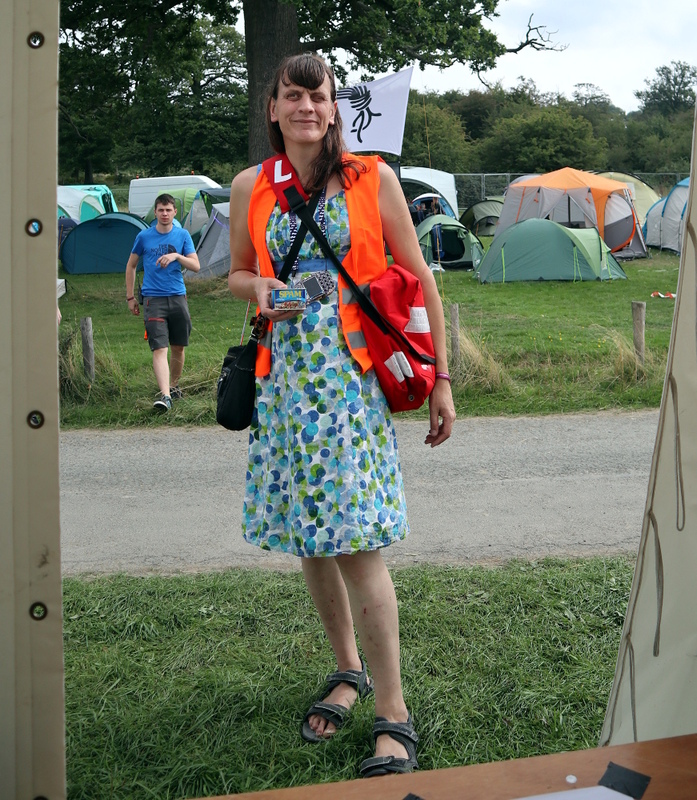 I will definitely be donning my metaphorical Royal Mail mailbag alongside my PostNL and Deutsche Post colleagues at CCCamp next year, and if you send a postcard at the event it might just be me that delivers it. “Go to interesting places, meet new people and deliver them spam…” Nice writeup, really shows how big such events are. Please do make another article with more descriptions of what you’ve seen! Coming up, have no fear. There are probably people out there who don’t know the original meaning of ‘spam’. (I do see the can on the top photo says “chopped” instead of “shoulder”. That goes for any kind of pork, really. It’s actually “spiced pork and ham”, with the spice being delicious spicy sodium chloride. Technically it’s a spice as much as the rest of the substance is “pork and ham”. I think “shoulder” is a bit optimistic as to where it comes from. Sounds like a lot of fun. Thanks for the article and I would also like to read more. Rarely do I came across people irl that share my nerdy interests. Socializing is easier around like minded individuals so a large hacker camp sounds like a trip worth taking! My pantry is well-stocked with SPAM (“lite” version, still has plenty of fat and salt). However, I’d love to get my hands on a set of those limited-edition Joe Kim postcards. Only at events Hackaday re going to be at, sadly. I don’t know whether you could persaude the Powers That Be to stick ’em in the shop alongside the t-shirts.